ROICE Team 2019 has returned home! 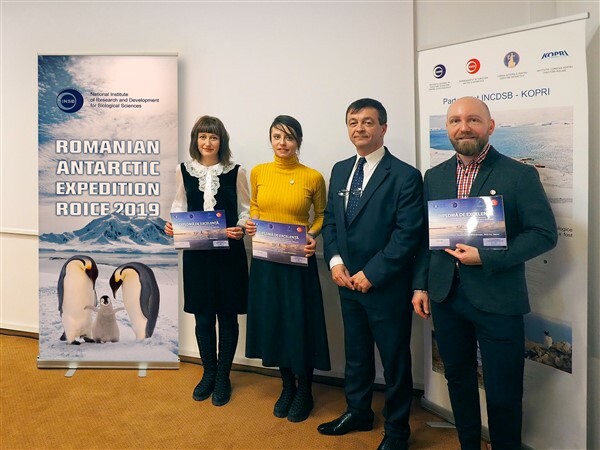 On March 15, 10:30 am, it has been organized at the National Institute of Research and Development for Biological Sciences (INCDSB) a media event regarding the successful ending of “ROICE 2019 – The Romanian Scientific Expedition in Antarctica”. ROICE 2019 is the third ROICE expediton – at King Sejong Station, the Korean National Institute of Polar Research (KOPRI) station from King George Island, Barton Penninsula in west Antarctica. The expedition was held between 17 January – 15 February 2019 on the basis of the agreement between INCDSB and KOPRI, for a period of five years (2015 – 2020). 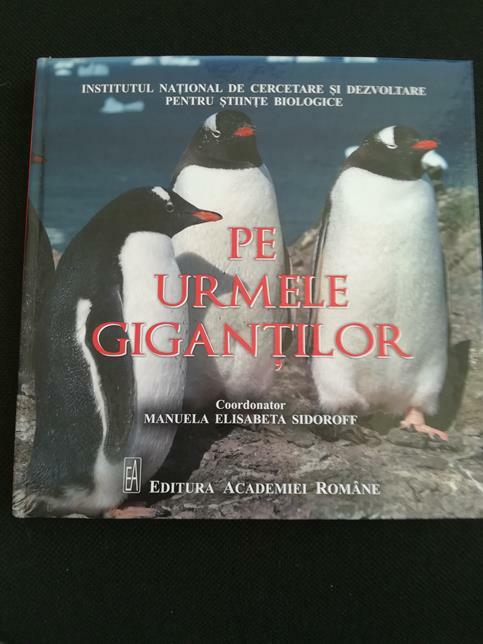 The event was attended by the State Secretary Prof. Lucian Puiu Georgescu, from the Ministry of Research and Innovation, from the Ministry of Environment, Counselor Nela Miauta, CEP Contact Point on Romania, on behalf of the Romanian Academy, the National Commission for Antarctic Research CNCA), Mr. Acad. Dumitru Murariu, Mr. Acad. Nicolae Panin and Mrs. dr. Cristina Purcărea, Scientific Secretary. The opening of the event was made by the INCDSB General Director, Manuela Elisabeta Sidoroff, Vice President of CNCA, that presented ROICE expedition members, (dr. Cristian Coman – scientific leader of the expedition, dr. Corina Itcus and dr. Iris Maria Tusa – expedition members), the scientific results of the team as well as the vision that Romania, through INCDSB, to continue to involve into the domain of Antarctic research. There were presentations about the current researches and future research plans of the expedition team, about how the activities are organized at KOPRI center from King George Island. Short movies with the field and laboratory activities from Antarctica were projected, and there were held discussions on the topic of the event. The CNCA members made references on the necessity of finding solutions to open up the possibility of participation of researchers from several research areas in the Antarctic area. At the end of the event, Mr. Secretary of State Prof. Lucian Puiu Georgescu congratulated the ROICE 2019 researchers and offered them on the behalf of Ministry of Research and Innovation, diplomas of excellence.